Hello Kitty’s parent company, Sanrio, has teamed up with Sega to produce one of the cutest collaborations ever seen. What you see below is the first fruit of their labour, Sonic Hello Kitty, cute no? 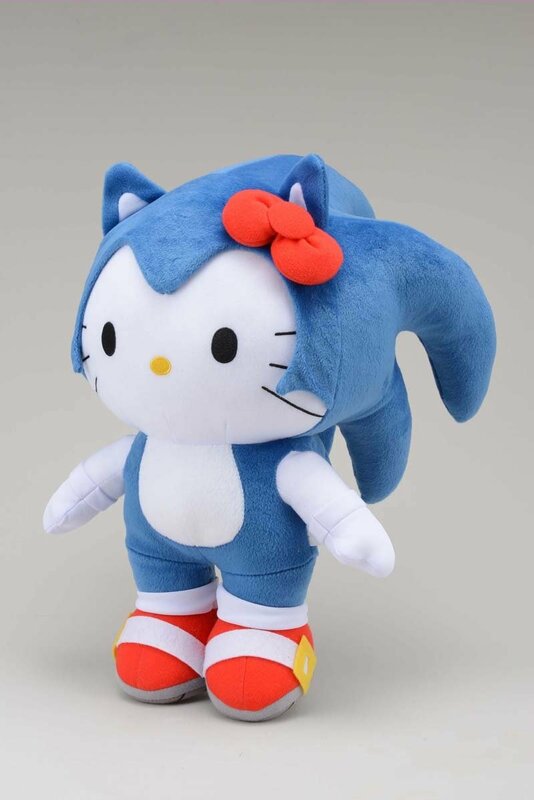 There are actually a few of these planned between these two giants and this Sonic x Hello Kitty Super Jumbo Plushy will be available in late July. The plushy will be available at Sega’s amusement facilities which can be found all across Japan and the reason for this in the first place is to commemorate the opening of Sega’s Tokyo Joyopolis facility on July 14. Sega has also gone on record stating that this new temporary partnership will run worldwide starting in the Summer of 2013.